The Managing Directors of Hollencrest realized early on that we could only build the best possible firm if we started with the best possible employees. We have worked hard to build a company culture that values personal growth, independent thinking, market instincts and a commitment to excellence. These values have enabled us to attract bright and highly motivated people who come to Hollencrest and don’t want to leave. Our clients benefit from our carefully crafted culture by getting better results, generated by a committed and dedicated team that understands every small nuance about our clients. Our size and stability allow us to build our relationships for the long haul. Hollencrest’s founding principals are responsible for the strategy, security selection and construction of your portfolio. – Specialities: Providing business owners and high net worth families with comprehensive strategic planning, including portfolio management, succession planning, estate planning, tax minimization strategies and managing the sales of privately-held businesses. 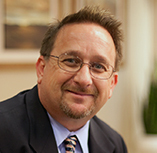 – Experience and Qualifications: Greg has 39 years of investments experience. 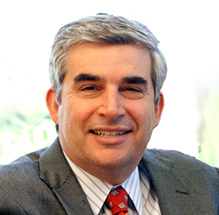 After attending Occidental College in Los Angeles, with a major in Philosophy, he began his career as a financial advisor with Paine Webber in Newport Beach, California in 1980, and ultimately attained the position of Senior Vice President of Investments. 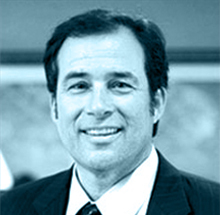 In 1987, Greg joined Prudential Securities in Newport Beach, again as Senior Vice President of Investments. 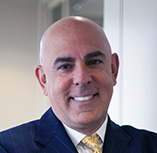 While at Prudential, Greg spearheaded the formation of an autonomous group, the Pellizzon Frolich Financial Group, comprised of individuals with expertise in meeting the needs of private clients, holders of restricted securities, and institutions. From this specialized group, Greg and four colleagues established Hollencrest Capital Management in April of 1999. 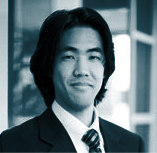 Greg co-founded Hollencrest Bayview Partners, a fixed-income arbitrage, real return hedge fund. – Interests: Greg enjoys spending time with his family, playing golf, and traveling. – Experience: Peter is a Founding Managing Director of Hollencrest, and is the Chief Operating Officer, and a Portfolio Manager. He has 36 years of investments experience. 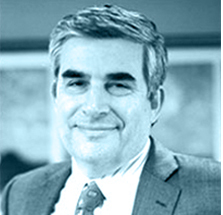 In 1983 Peter began his career as an Assistant Specialist with Shearson Lehman on the floor of the Pacific Stock Exchange in Los Angeles before moving to Paine Webber in 1987 and working as a stockbroker. 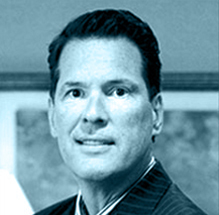 In 1990, Peter joined Prudential Securities in Newport Beach as Vice President of Investments. Here, Peter helped to form the Pellizzon Frolich Financial Group, which was a group comprised of individuals with expertise in meeting the needs of private clients, holders of restricted securities, and institutions. From this specialized group, Peter and his partners developed and established Hollencrest Capital Management in April 1999. Peter is a co-founder of Hollencrest Bayview Partners, a fixed-income arbitrage, real return hedge fund. As a Managing Director of Hollencrest, Peter continues to lead and develop the firm. – Qualifications: Peter attended University of the Pacific, in Stockton, and UCLA where he majored in Economics. – Specialty: Working with owners and operators of privately held businesses. 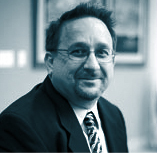 – Experience: Rob has 33 years of investment experience. He worked as a Mergers and Acquisitions Specialist for Salomon Brothers for two years prior to earning his MBA. He is a Founding Managing Director of Hollencrest. – Qualifications: Rob attended UC Berkeley and received a BS in Business Administration in 1986. After working for Salomon Brothers, he attended the Anderson Graduate School of Management at UCLA, where he earned an MBA in Marketing and Accounting. 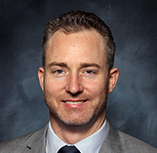 Rob also obtained the Certified Employee Benefits Specialist (CEBS) designation from the Wharton School, as well as the Chartered Life Underwriter (CLU) and Chartered Financial Consultant (ChFC) designations from the American College in Pennsylvania. – Involvement: Rob recently served three years as the National Chairman of the Board of Operation Homefront (www.operationhomefront.net). Operation Homefront is a national charity with over 4,000 volunteers that provides financial assistance to military families around the country. To date, Operation Homefront has raised and distributed over $100 million to military families in need. – Interests: Rob likes to spend time with his wife and three young daughters. – Specialty: Procurement, analysis and management of Hollencrest’s private investments with a focus on real estate, private equity and direct lending. – Experience: Cameron has 11 years of investment experience. 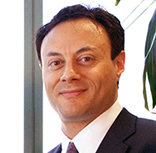 Having joined the firm approximately one month prior to Lehman Brothers going under and the subsequent escalation of the 2008 crisis, Cameron has derived significant in-the-market experience in equity, fixed income and forex technical and fundamental analysis and trading through periods of market and economic volatility. Additionally, his background in economics helps contribute to the development of Hollencrest’s macro viewpoints. Since 2011, Cameron has been involved with building Hollencrest’s portfolio of client real estate investments through the identification and analysis of investment opportunities. In 2019, Cameron was promoted to Chief Investment Officer, where he continues to expand upon and contribute his expertise to benefit the firm and clients. – Qualifications: Cameron attended Claremont McKenna College, graduating in the class of 2007. At CMC he received a BA in Economics/Accounting, earning an Honors designation within the major. – Interests: Cameron is an avid golfer and enjoys snowboarding, running and rooting for his favorite Seattle-area sports teams. Connect with Cameron on LinkedIn. – Specialty: Researching investment opportunities to find good risk to reward ratio investments. 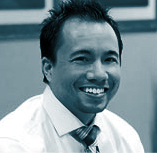 – Experience: Chris started his investment career at Hollencrest in December 2007. – Qualifications: Chris received a Bachelor of Arts degree in Applied Mathematics and Economics from UC Berkeley in 2007. He is a CFA® charterholder. – Interests: Chris enjoys playing basketball and mobile and board games. – Specialties: Establishing an investment strategy with Hollencrest Public Investment Committee and equity market research and analysis. – Experience: Sean has been with the firm since 2011. 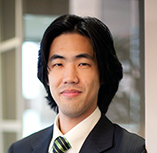 Prior to joining the firm, Sean worked as a corporate accountant for two years. – Qualifications: Sean attended UCLA and received a BA in Business Economics with a minor in Accounting. – Interests: Sean enjoys working out and playing basketball and golf. – Specialties: Asset allocation, global macro outlook, quant and fundamental analysis, alternative strategies, and buy/sell decisions. 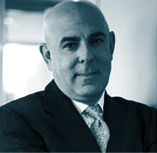 – Experience: Michael has 27 years of professional investment experience. 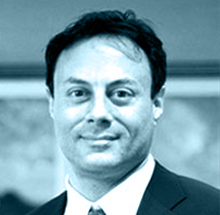 Prior to Hollencrest, Michael was a Portfolio Manager at Pacific Income Advisors, a Director of Strategy at Open Ratings (which was sold to Dun & Bradstreet), a Manager in the strategy group at Accenture, and a Vice President – CDO/Quantitative Analysis Specialist at Deutsche Bank. – Qualifications: Michael has a CFA designation, an MBA from the MIT Sloan School of Management and a BA in Economics from UC Berkeley. He has served as an expert witness on an investment case involving a municipality, has consulted for the World Federation of Exchanges, the Colombian Financial Exchange, and several high-tech firms, and has presented at forums in California, Malaysia, Argentina and Spain. While at Pacific Income Advisors, Michael developed a real-time quantitative analysis system that allowed the firm to create new stock strategies and grow assets under management. At Hollencrest, he successfully created, backtested, and managed a quantitative model for a fixed-income arbitrage hedge fund. – Involvement: Michael is on the Advisory Board for Huntington Capital Fund III, L.P. and has done oversight on other funds. 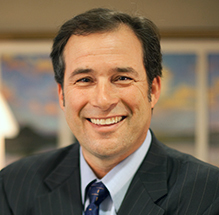 Within the community, Michael served as President of the CFA Society of Orange County and remains active within the Society. In addition, he served on the Advisory Board of the UC Irvine, Paul Merage School of Business, Center for Investment and Wealth Management. – Interests: Michael is an avid world traveler and outdoor enthusiast who (when not at the gym) enjoys art, theatre and reading. – Experience: Dale has over 30 years of investment experience. 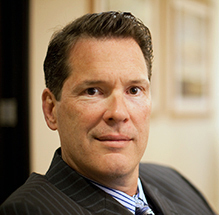 Dale began his career as a stockbroker with Paine Webber in Newport Beach in 1984. In 1987, he joined Prudential Securities in Newport Beach, in the position of Senior Vice President of Investments. Dale transitioned from Prudential to Hollencrest Capital Management in 1999, and continues to work with the firm as an Independent Consultant and Portfolio Manager. – Qualifications: Dale attended Eastern Michigan University, receiving a Bachelor of Science degree in Communications and Marketing in 1972. – Specialties: Business development, relationship management, and coordination with outside advisors (CPAs, Attorneys) on client projects, exit/succession planning for entrepreneurs and financial education for children and grandchildren of clients. – Experience: Zach has been a member of the Hollencrest team since 2011. 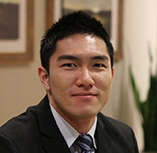 Previously, Zach served 4 years on active duty in the U.S. Army with the 2nd Battalion Field Artillery Regiment as the S4 (Finance/Logistics Officer) stationed at Schofield Barracks, HI. During his active duty, Zach was deployed to Iraq from January 2004 to February 2005. He went on to work as a pharmaceutical sales representative for GlaxoSmithKline and then as a Private Risk Advisor for Momentous Insurance Brokerage before joining Hollencrest. – Qualifications: Zach graduated from UCLA with a BA in Political Science in 2001 where he was a member of UCLA Army ROTC and recognized as a Distinguished Honor Graduate. Zach went on to complete his MBA from UCI in 2015. – Involvement: Zach served on the Ambassador Committee for Orangewood for 3 years. Zach was a Big Brother for BBBS Orange County in 2016-17. In 2016, Zach became a special advisor for the NOVA Academy, a charter high school, where he oversaw the acquisition and construction of its newly renovated campus in downtown Santa Ana. – Interests: Zach enjoys spending time with his wife and son, and playing and watching soccer (Visca El Barca!) and cycling in his free time. – Specialty: Providing excellent support for Hollencrest’s clients and staff by performing numerous processes and functions that support providing advisory services to clients, and contribute to the firm’s daily operations. – Experience: Kelly joined Hollencrest in January 2016. Her dedication, responsiveness, and attention to detail have already made her an essential member of the Hollencrest team. – Qualifications: Kelly graduated from UC Irvine in 2015 with a BA in Business Economics. – Interests: Kelly enjoys spending time with her family and friends. – Specialties: Providing excellent service to Hollencrest clients. – Experience: Aya joined Hollencrest in 2010, with over 8 years of experience in the Financial Industry and over 11 years of experience in Customer Services. 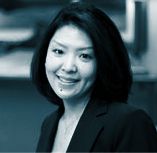 She continues to develop her expertise in providing outstanding service to Hollencrest clients. – Qualifications: Aya attended University of Nevada Las Vegas and received a Bachelor of Science degree in Management Information Systems. – Interests: Aya likes to travel. – Specialty: Providing excellent service to Hollencrest’s clients, and supporting her colleagues by performing numerous processes that contribute to the firm’s daily operations. 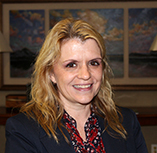 – Experience: Michelle joined Hollencrest in January 2014. She continues to find more and more ways to make enormous contributions to the productivity and efficiency of the Hollencrest team. – Qualifications: Michelle graduated with honors from UC Santa Barbara in 2013 with a BA in History. – Interests: Michelle enjoys running and fitness, as well as spending time with her family and friends. – Specialties: Enhancing and monitoring Hollencrest’s compliance policies to ensure that the firmis complying with regulatory requirements and employing industry best practices. 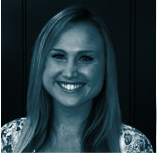 Nicole has an extensive background in developing forensic testing programs for Compliance. – Experience: Nicole joined the Hollencrest team in February 2017. 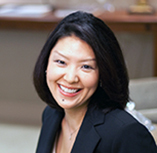 Prior to joining the firm, she spent over 20 years working for Wall Street financial firms. 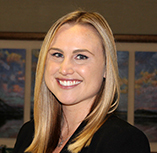 Since 2005, Nicole has worked in Compliance roles for registered investment advisers, including PIMCO, HSBC, Brookfield Investment Management and Guggenheim Partners. – Qualifications: Nicole earned her BS in Finance from Virginia Tech in 1993, and received an Investment Adviser Certified Compliance (IACCP) designation in 2009. – Interests: Nicole enjoys spending time gardening, checking out live music and taking care of her two dogs. – Specialties: Overseeing daily trading and general office activities while also serving as the designated Anti-Money Laundering Compliance Officer. – Experience: James has been part of the Hollencrest team since 2005. 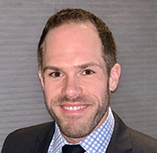 Prior to joining Hollencrest, James spent three years as the New Business Administrator at the Chamberlain Group, processing new business, researching new products, and was the Designated Compliance Officer. Prior to Chamberlain Group, James supervised the trading desk at Mutual Service Corporation (A Pacific Life Company) for six years. – Qualifications: He obtained a BS in Business Administration from the University of Pepperdine in 2000. 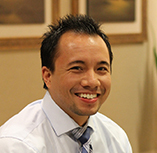 James obtained an Investment Advisor Certified Compliance Person (IACCP) designation in 2015. – Specialties: Providing exceptional support to Hollencrest Capital Management’s staff in daily business operations. 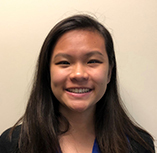 – Experience: Natalie joined Hollencrest Capital Management in December of 2018. 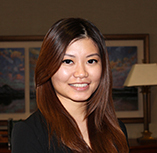 Prior to joining, Natalie spent 3 years as an administrative assistant gaining experience in the office and with customer support. 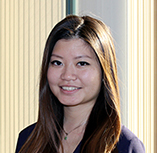 – Qualifications: She graduated from Cal Poly Pomona in 2018 with a BA in Management Human Resources. – Interests: Natalie enjoys photography, hiking, and snowboarding. – Specialties: Supporting Hollencrest’s clients and management and facilitating their many decision-making processes by gathering, analyzing, and presenting a wide spectrum of information. 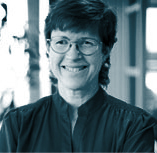 – Experience: Sue began working in the investments field in 1983. She has worked in many capacities, acquiring experience in all aspects of the investments industry. Sue has been with Hollencrest since 1999. – Qualifications: Sue received a BA in Fine Arts from UC Irvine in 1982. After entering the investments field, she became a Chartered Financial Analyst in 1990. 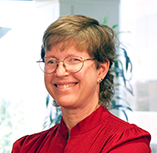 Sue went on to earn an MBA from Chapman University in 1993. – Involvement: Since 1993, Sue has been deeply involved in training in and teaching martial arts and administering an international martial arts organization, Shito-Ryu Karate-Do Genbu-Kai. The purpose of this organization, and Sue’s primary motivation for being involved, is to help enrich the lives of people throughout the world and, most especially, to help children grow to be successful, productive, happy people. As part of her involvement with the Genbu-Kai organization, Sue is the “as told to” author of the autobiography of the group’s founder, Fumio Demura: My Story, published in 2018. – Interests: Sue has many interests, but her greatest joy comes from her family, which boasts six grandchildren so far. Specialty: Ensuring accurate performance calculations on clients’ portfolios and assets based on information from various sources, including custodians and information provided by clients. Experience: Edrie became part of the Hollencrest team in 2011. Prior to joining the firm, he acquired accounting, reporting and fund administration experience working at State Street Corporation and Franklin Templeton Investments. 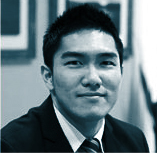 He also broadened his industry experience by working in the Data Management department at Invesco. Qualifications: Edrie received his Bachelor of Commerce (with a minor in Economics) at McMaster University in Hamilton, Ontario, Canada. Interests: Spending time with his family, sports, working out, music, motorcycles, guitars and piano. We seek to cultivate strong alliances with only the best accounting, law, and insurance firms available. Our strategic partners have all distinguished themselves as companies providing the same level of service excellence that we strive for here at Hollencrest. We pride ourselves in coordinating the delivery of their services in tandem with our investment strategies. TRC Financial is one of Southern California’s providers of strength, stability, and service in insurance and benefit planning for clients since 1964. Their area of expertise is handling large insurance cases as required for estate planning purposes, as well as identifying opportunities where life insurance might make sense as a financial asset. Certified Public Accountants, with a combination of experienced veterans of national firms and the most highly qualified graduates of top universities. Like Hollencrest, RPG specializes in serving the private business owner. Easton Robertson Insurance Brokers, Inc. provides insurance and risk management solutions for clients with numerous assets. They specialize in personalized insurance programs for Custom Homes, Jewelry and Fine Art, Automobiles including Exotics, Classics and Collections, Yachts and Excess Liability up to $100 Million. Our clients often outgrow traditional retail insurance companies such as State Farm, All State and Farmers. Easton Robertson helps our clients to access the top-tier, high line carriers, such as Chubb, Chartis and Ace. Blending the experience of a large firm with the hands-on responsiveness of a smaller one, this legal firm focuses on business and real estate, including corporate counseling, executive compensation, mergers, acquisitions and finance, private securities, small business formation, venture capital, and e-commerce. Hodel Wilks offers world-class legal services at a competitive cost with a sharp focus on the client’s needs and a boutique level of attention. Their practice covers three primary areas: business litigation, employment, and corporate/transactional.